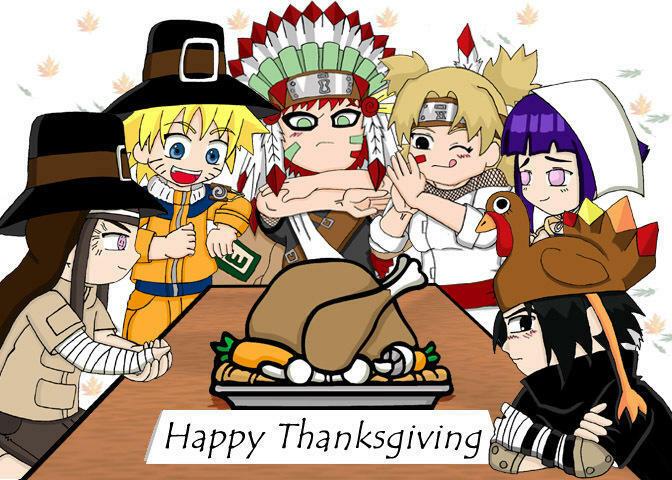 Propeller Anime: Happy Thanksgiving! What Are You Thankful For? Propeller Anime is thankful for that we been find a place to grow and establish ourselves as the best anime club in town and perhaps the world by moving over to The Geek Easy at A Comic Shop. Moreover, we are thankful that we have awesome people that come to our Anime Nite @ The Geek Easy every month because we love sharing great stuff with you guys. I personally am thankful that, throughout this whole year, I have been fortunate enough to have great people step up and support my ideas of what Propeller Anime should be in addition to contributing their own ideas that have also made our group better than ever. Last but not least, we are very thankful that so many people in the local anime community and even the anime industry have supported us in our goals to be a better anime club. This has allowed us to do bigger things for the community and we get to help the industry that produces the animation we love! We hope you all have a fantastic Thanksgiving and if you would like to share with us what you are thankful for this year, feel welcome to do some in the comments section.